I think you’re being a tad unfair. The EBF has never struck me as being a last bastion of the patriarchy – in fact from from it. OK that isn’t equality, but given that the EBF draws it’s contributors from public life generally, and like it or not there’s more men than women in public life at the moment, I’d say that ratio is at least reflective of that, and in fact is probably biased towards representing women. I find the “there are more men in public life” argument a copout. Women buy more books than men. Women read more books than men and women are far more likely to buy books for presents than men. That’s without acknowledging just how many women are involved in the scut work of the publishing industry. 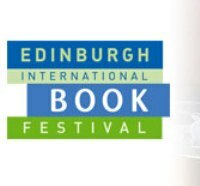 The fact that the EIBF consistently has more male authors than women and spends far more time advertising those authors is about sexism. It is the reinforcement of women’s marginalisation from culture. It is cultural femicide.